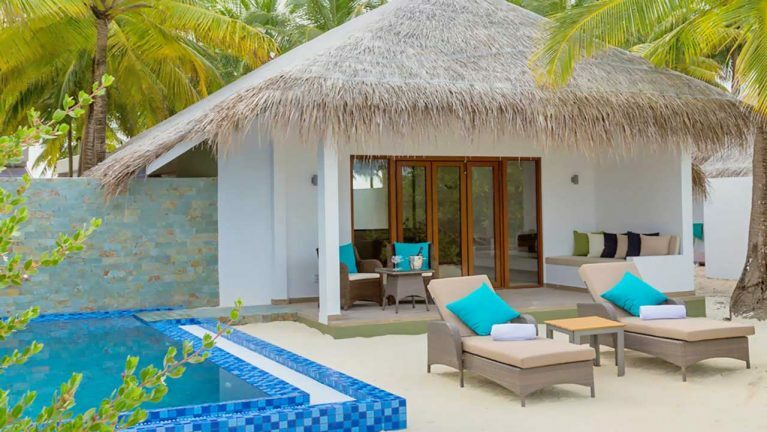 * 07 Nights Accommodation in Beach Villa for 2 Adults. * Half Board PLUS Basis (Daily Buffet Breakfast, Dinner with Beverages). * All Payable Taxes, GST & All Charges + Special offers included. Package Price is Per person price total payable for 2 Adults accommodation. Additional USD 420.00 Per Person for Both ways Transfers by Seaplane. * Applicable for Bookings made minimum 45 days prior to arrival.